In about a month, I am going to turn 36 years old. Last year I made a list of goals to accomplish by my 35th birthday. I finished a lot of them but I forgot to make a new list for this year. So, I have a month but here is my list of to do's before my 36th birthday. 1. Finish the projects I have going on. 2. Don't go out to eat (because we are saving up for a trip to New Orleans in August). 3. Take Bono Baby on a date to his favorite park. 4. Eat a lot of big sticks and otter pops (because I deserve them). To be honest that is all I am going to do. My list is short but sweet this year and I think I am okay with that. p.s. 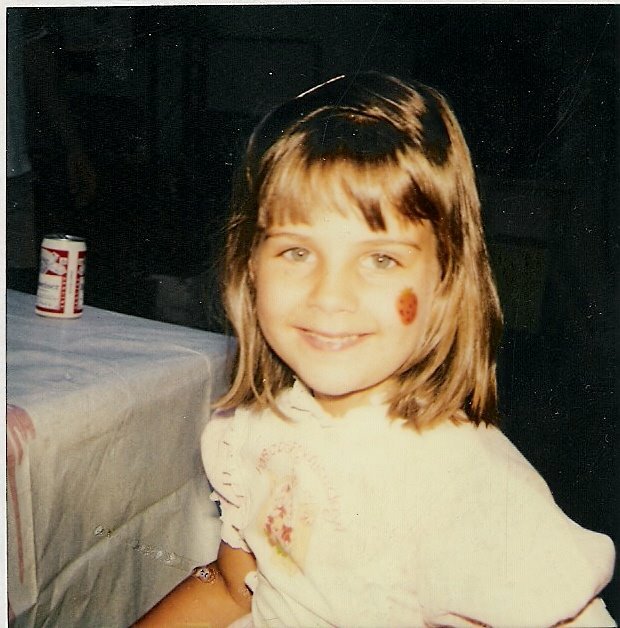 Sometimes I still feel like that little girl in this polaroid. Really, I am still that sassy little girl who loves strawberries. Also, that photo makes me giggle...do you see the beer can in the background? You were a pretty little girl then and are still now. It sounds like your list is a good one. Best.List.Ever - totally cross out able! Your picture is darling, you are so cute! The beer can is funny! my dear, your list is lovely and so are you! new orleans is one of my favorite magical places to visit. my sweet love and i had an amazing adventure there six years ago. so excited that you're going! p.s. the beer can makes me giggle too and sends me right back to the eighties.